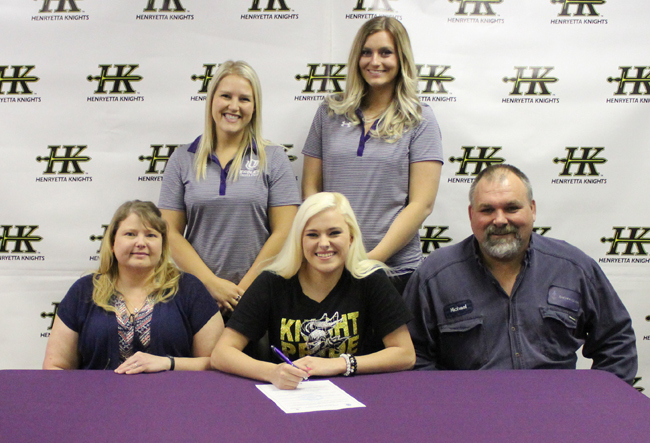 Henryetta senior Jaycee Barton will be cheering for the University of the Ozarks Eagles next year. The daughter of Michael and Tricia Barton signed her letter of intent Thursday morning to attend the Clarksville, Arkansas university. With Barton and her parents are Frances Mills, the head cheer and stunt coach and assistant Samantha Campbell.